Undoubtably one of the main reasons people are trading in their traditional watches for Apple Watches is the thought that one day it might save your life. Whether that's by alerting you to a heart defect, or by notifying the emergency services if you've had an accident. 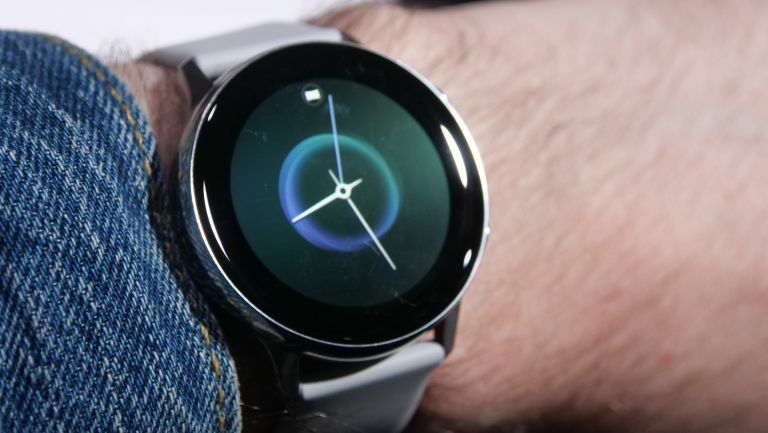 Samsung knows this, but so far the health and fitness features on the Samsung Galaxy Watch and Galaxy Watch Active have been focused on exercising and working out. That looks like it's about to change if a new trademark application comes to light, which would see a smartwatch or smartphone notify you if it senses harmful substances in the air. Samsung Galaxy Watch Active review: finally a true Apple Watch rival? The application, reported on by let's go digital, offers a detailed description of, "Sensors for detecting air quality in the form of volatile gases, carbon dioxide, carbon monoxide, pollen or toxins in the air. Sensors for detecting the temperature, barometric pressure, humidity, oxygen and nitrogen concentration in the air. Software for displaying the data received from the air quality sensors. " It may be possible for your Samsung smartphone, tablet, or smartwatch to measure the air quality around you, and notify you of high pollution or even deadly gasses, such as carbon monoxide. If you don't respond you the notification, or if you're unconscious, the patent also describes, 'software for operating home automation systems, including lighting, heating, air conditioning, alarm and other safety equipment." So, Samsung could potentially shut off the faulty heating, or turn on a ventilation system. Of course, it could also contact emergency services. The trademark application for "SmartThings Air" was filed on March 15, 2019 with the EUIPO (European Union Intellectual Property Office). It's certainly an interesting idea, and we hope to see it make its way to consumers wrists soon. Samsung Galaxy Watch Active vs Samsung Galaxy Watch: which should you buy?